"This was given to me by my friend, Elaine. 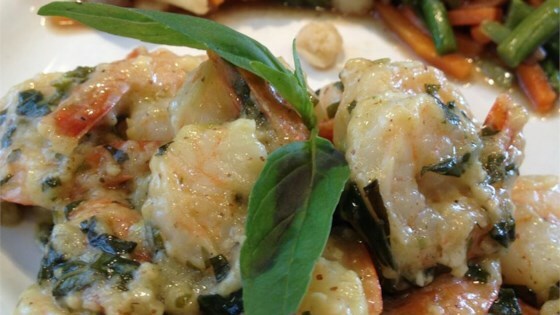 It is one of the most delicious shrimp recipes for the BBQ I have ever had, and it is so easy. My son would eat the whole recipe if I didn't watch him." there was a nice hint of basil... a nice hint of garlic... even a nice hint of shrimp... but all i could really taste was the mustard. I was quite dissapointed. This recipe is delicious & easy! I used my George Forman & skipped the skewers. Best grilled shrimp recipe I've had, everyone loved it.